We like to do-it-yourself when it comes to holiday decorating and will go the extra effort to choose from the best selection of pumpkins (like we did last month for Halloween) or Christmas trees. 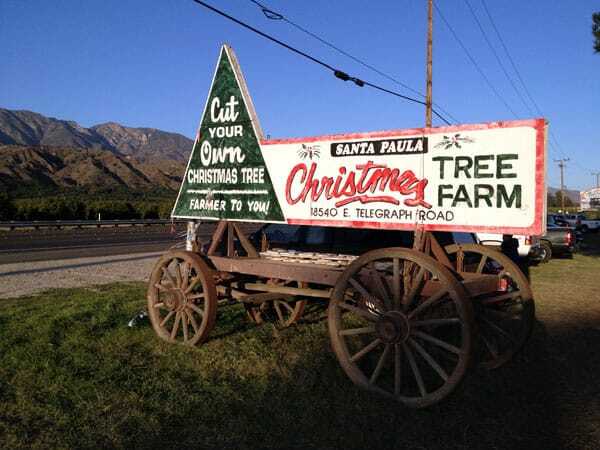 Yesterday we drove out to Fillmore, CA and visited Santa Paula Christmas tree farm. They have a huge selection of Monterey Pines which are uniformly the perfect cone shape and are very fragrant. 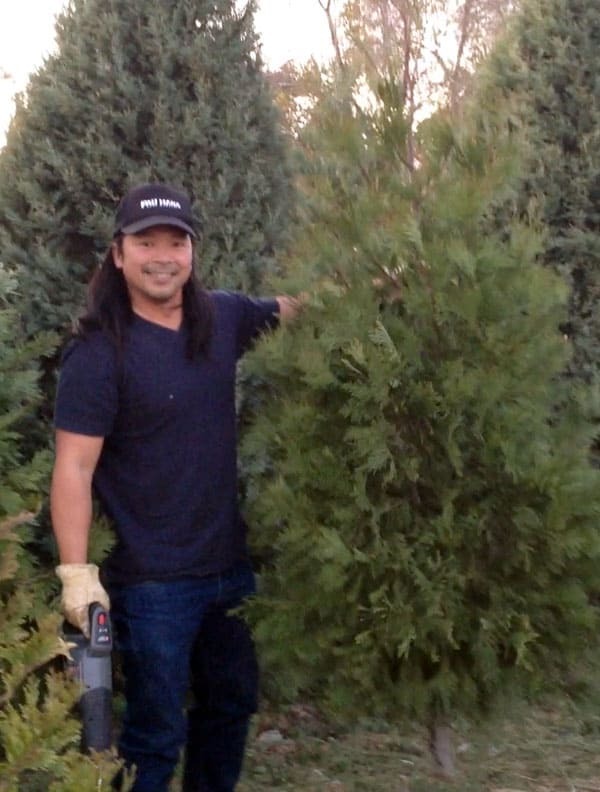 They also have some firs and spruces mixed in. 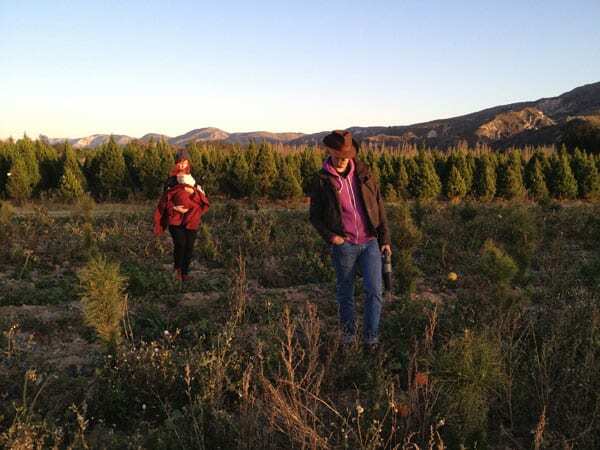 What’s great at this Christmas tree farm is that you can cut your own tree. 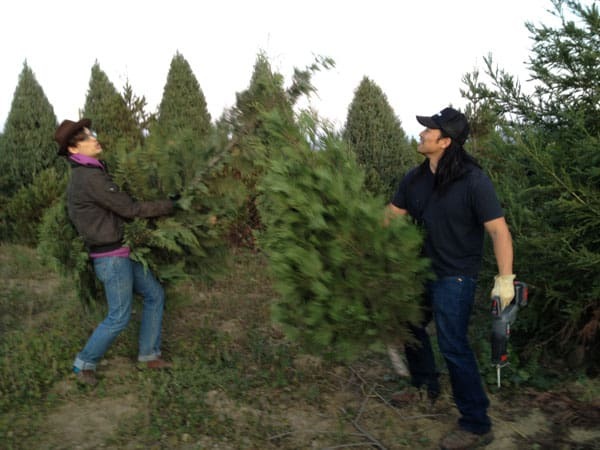 Not only do you get the exact tree you want but you know its going to be super fresh. After walking through all the pines we made our way back to the front of the lot and found two beauties that we think are spruces. They didn’t even have price tags on them so they might have figured nobody would want them so we felt good giving them a home in our home. We brought gloves and a cordless recip saw to make quick work of cutting the tree as well as protect our hands from spiky needles and sap. We had the tree wrapped and it was easy to bring home in the back of our truck. We made the trip a family outing and it because it was Hunter’s first tree it made it even more special. My brother Matthew joined us and to this day still loves to tease me about the fake flocked tree decorated only with bears that I insisted upon one year. My taste has changed but I still have fond memories of that tree. We’d love to hear your Christmas family traditions. 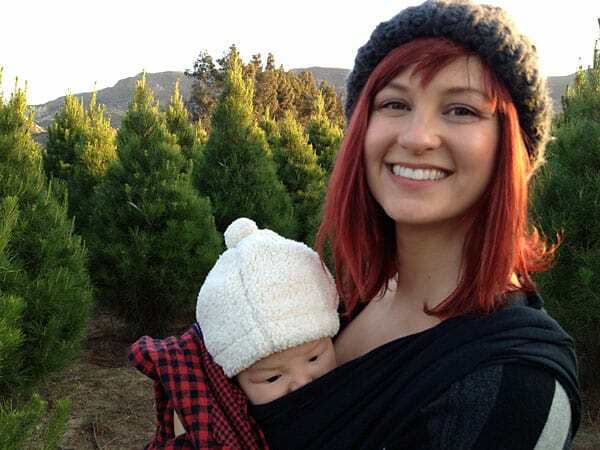 Do you cut your own tree or trim the tree and hang lights together?